The Secret Garden is proud to be your local Garden Shop and Learning Center! Whether you need shrubs, trees, flowers, herbs, vegetables, dirt, mulch, gravel, or stones. We deliver and install when needed, too! We are excited to help you with your next project! Many of our clients love coming to us to freshen up their planters, and update their garden with the season. Our expert designers can help make suggestions for you. Fall is a great time to great time to be planting trees and we have Japanese Maple, Evergreens, Holly and other varietals. We'll have seasonal plants available too, so feel free to come in and find one that fits your home. Established in 2012, Benchmark Outdoor Services LLC ran by owner Trey & Justin are your go-to guys to handle all of your landscape needs. Benchmark offers all your outdoor service needs, from lawn and landscape maintenance to decks and railings, iron fencing, pond install. If we do not offer the service then we will point you in the direction of a company that we trust and work closely with to get the job done. We are a small business with two main employees that manage all properties. The same people will always maintain your property. Contact the Benchmark Outdoor Services team today for your free estimate! At Mountain Heights Lawn Care, LLC, we love to help our clients create the yard of their dreams and rediscover the beauty of being outdoors. Whether you’re looking for a completely new landscape design or a reliable service to help with lawn care in Birmingham, AL, we’re here to help. Our skilled designers and lawn technicians are passionate about creating outdoor spaces that are guaranteed to impress. When it comes to quality lawn care and landscaping in Birmingham, AL, we are the best in the business. We believe that your yard is an extension of your home. Having a beautiful yard not only adds value to your home, it can also be a place for fun, gatherings, and relaxation. For over twenty years, we’ve provided residents with quality lawn care and landscaping in Birmingham, AL that is guaranteed to impress. At Mountain Heights Lawn Care, LLC, we like to think that we are helping our customers rediscover the beauty and functionality of their outdoor spaces. Whether you want a place for entertaining, room for the kids to play, or simply want help with caring for the yard you already have, we are here to help. Here are just a few reasons why people come to us for lawn care servicing in Birmingham, AL: Our professional landscapers and lawn technicians are the best in the business. We have over twenty years of satisfied customers to recommend us. We offer more landscaping services and options than any of our competitors. All our services are offered at competitive prices. We are licensed and fully insured. Mighty Green Lawn Care provides lawn treatment and lawn care services to residents and businesses in Hoover, Alabama. Our turf management treatments promote growth, which in turn result in thick, lush, green grass. We will perform a soil analysis test to determine what nutrients are needed, and will create a customized treatment plan for your property. Our treatment services include fertilization, pre emergent weed control, post emergent weed control, outdoor pest control, fungicide treatment, vegetation control, sports turf management (like football and soccer fields), and commercial turf management. We also provide core aeration services to help allow more air, water, and fertilizer reach the grass roots. Our professional lawn technicians are friendly, knowledgeable, and won't sprint through your grass, spraying product all over your sidewalk and driveway. We take pride in our commitment to customer satisfaction and healthy, green lawns. We always say, "We grow it, you mow it!" The Grass Guys was founded in 2008 on the premise that it is difficult to find good help at an affordable price. We find that if you are honest, show up when you say you will, and give great service to the customer… the sky is the limit. Our company is and will continue to be an owner/operator business. As more customers are taken on, more owner/operators are hired. This allows us to grow the company without losing our personality.. something the nationally franchised lawn care services cannot offer. In turn, our owner/operators take great pride in their own business and their own customers. As a customer, you see the same face week to week, and can fully trust the work will be done correctly. If you are a current customer, we thank you for your business and loyalty. If you are a prospective customer, we hope you give one of our owner/operators the chance to show you the value in doing business with The Grass Guys. Mighty Green is a premier lawn care company in Vestavia Hills, Alabama for both residential and commercial properties. We have over 35 years of experience in the turf grass industry and have perfected our lawn treatments to promote the growth of healthy, green grass and plants. Some of our most popular services include: fertilization, pre emergent weed control, post emergent weed control, tree and shrub care, pest control, fungicide treatment, vegetation control, core aeration, and sports turf management. Our lawn care technicians are extremely knowledgeable about the different types of grass that grow in Alabama, and are able to devise a specialized treatment plan just for your lawn. They take the time to do the job right every time, and won't run through your yard spraying fertilizer and treatment all over your sidewalk and driveway. 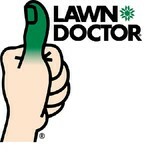 We are committed to customer satisfaction and beautiful green lawns! I am the best lawn maintenance man in Alabama! Please contact me for all your lawn maintenance needs. For all your lawn and garden needs! In addition to the maintenance side of gardening, Brook Highland, AL gardeners can help you with garden design and choosing specific plants and grass types for your climate and area. Find a Brook Highland, AL gardener on Houzz. Narrow your search in the Professionals section of the website to Brook Highland, AL gardeners. You can also look through Brook Highland, AL photos to find examples of yards that you like, then contact the Alabama contractor who worked on them.